Testimonials are actual customer experiences. Results not typical. Your results will vary and you may not see similar results. Thank you both for your help refinancing my loan. I have come to expect amazing service from Mr. Cooper and you two exemplify these very high standards. I will be in touch to ask for your help with refinancing another property that is currently financed with a different lender. Thank you again! I wanted to reach out to say that my experience with Mr. Cooper was very positive. Keri and Rita were excellent. They answered all my questions and made the process very easy. My wife and I were very surprised on how easy this process was given how hard the initial process was 12 years ago. We greatly appreciate the exemplary customer service. Thank you! Daniel and Kim were awesome throughout the loan process! They made my refinancing experience simple, easy and fast. 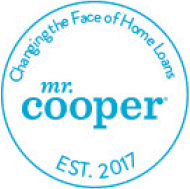 I would recommend Mr. Cooper to anyone who would like efficient, friendly service. So glad I made the call! We all know that love makes the world go ‘round, but there’s another essential, driving force that helps push everyone to be better: trust. Here at Mr. Cooper, we want our customers to be able to trust us. Buying a home can be overwhelming. It takes a lot to put your finances and funds in the hands of another. We understand that you have worries, so that’s why we strive every day to work diligently to rightfully earn and keep your valuable trust. We had a customer, Janie, who had some reservations. As Janie stated, she is old school and doesn’t like a lot of change. So, when our loan officer, Brooke, suggested that Janie could save money by refinancing, Janie was hesitant. How lowered her home loan payment by $281 a month. Brooke, the excellent loan officer she is, took the time to map out the options with Janie and explain that there was an opportunity for larger savings with a refinance. She eased her concerns by answering every question. She walked Janie through each and every step and made her feel comfortable and confident in her decision to apply. Janie trusted Brooke to help her through the process and in the end Brooke was able to get Janie some nice savings! By refinancing, Brooke was able to help lower Janie’s monthly home loan payment by $281, lower her interest rate by 3.6%, and shorten her loan term by 5 years, saving $59, 641.56 over the life of her loan*. We can’t even begin to describe how happy Janie was: let’s just say she hasn’t stopped smiling since! Earning Janie’s trust and helping to keep her dream of homeownership alive has truly been a humbling experience. Our journey to better just keeps getting better! Interested in finding out if a refinance makes sense for you? Actual customer experience. Results not typical. Your results will vary and you may not have similar results. *Lifetime savings is the difference between remaining finance charges on her old loan minus the total finance charges on the new loan. Savings do not take into account closing costs. Do you ever feel like you need magic to fix a problem? While we aren’t magicians at Mr. Cooper, our loan officers strive to work whatever magic they can to find the best solution for you. They will go the extra mile to get to know you as a person. Sure, numbers can tell us a lot, but they don’t tell us enough. They don’t tell us about your goals or what makes you feel at home. They don’t tell us about your kids, your grandkids or your adorable pets. We want to know you first. That way, we’ll both feel more at ease and we’ll be able to find the options that best fit you and your financial wants and needs. How our customer Christy turned a cash-out refinance into a breath of fresh air. Take, for example, our customer Christy. She was down one income, had rising debt and she needed financial help. Christy came to us seeking options for how she could minimize her monthly home loan payment while also reducing the heavy burden of debt. Christy was one happy customer thanks to the hard work and dedication of Justin. Our journey to better just keeps getting better! *A debt consolidation refinance increases your mortgage debt, reduces equity, and extends the term on shorter‐term debt and secures such debts with your home. The relative benefits you receive from debt consolidation will vary depending on your individual circumstances. You should consider that a debt consolidation loan may increase the total number of monthly payments and the total amount paid over the term of the loan. To enjoy the benefits of a debt consolidation loan, you should not carry new credit card or high interest rate debt. A simple life is a happy life, or so they say. Life tends to be more simple when things are going exactly your way. Sure, there are things we can’t control, such as rainy days or traffic jams. But other factors of our life are completely under our control: where to vacation, who to date, and even what to eat for dinner. The same should apply to where you decide to live. After all, it is your house, and it is your money…why shouldn’t you get exactly what you want? At Mr. Cooper, our goal is to do everything in our power to not only ensure that you get your dream home, but that you’re also getting the most out of your investment. How our customer Sandy used a cash-out refinance to open her classic car shop. Our customer, Sandy, knew exactly what she wanted: a smooth, seamless refinance. However, after talking with her, our loan officer, Brooke, and loan processor, Misty learned that Sandy’s goals went beyond the refinance. They learned that what Sandy and her husband really wanted was to build a classic car shop to store their classic car collection. The only problem was they didn’t have the cash on hand to make this dream a reality. Brooke and Misty took Sandy’s wants and needs and provided her with options that best suited her and her husband. After walking Sandy through all of the details, she decided to ultimately do a cash-out refinance. In doing so, Sandy’s interest rate lowered from 5.875% to 3.5% and she was able to take out enough cash* to build their car shop! Because of Brooke and Misty’s dedication and willingness to learn about Sandy’s dreams and goals, Sandy was able to get everything she wanted. We are so proud of Brooke and Misty for fulfilling Sandy’s wishes. Our journey to better just keeps getting better! And we love that. By submitting a photo of myself, I grant permission to Mr. Cooper and its agents, including advertising and promotional agencies, the rights of my image, without payment or any other consideration. I understand that my image may be edited, copied, exhibited, published or distributed and waive the right to inspect or approve the finished product wherein my likeness appears. I waive any right to compensation. I also understand that this material may be used marketing within an unrestricted geographic area. I understand this permission signifies that photograph of mine may be electronically displayed via the internet or public setting. There is no time limit on the validity of this release nor is there any geographical limitation on which these materials may be distributed. I acknowledge that I have completely read and fully understand the above release and agree to be bound thereby. I hereby release any and all claims against any person or organization utilizing this material for educational or marketing purposes.